The sweet, delicate flavor of pears pairs nicely with brandy, aquavit, and eau de vie. Abundant apples flavor and infuse booze spectacularly well, especially enhanced with a touch of cinnamon and caramel syrup. The sweet-tart arils from pomegranates make for a tangy liqueur, delicious in cocktails or drizzled in a glass of sparkling wine for a wintery kir royale. The tart holiday berry makes for a vibrant infused booze or sweetened liqueur. It's cranberry sauce in a glass! Enjoy a little DIY Bailey's. It's very easy to make, can be whipped up with easy-to-come-by ingredients, and contains none of the artificial ingredients in commercial Irish creams. A traditional Azorean liqueur, made to be served around the holidays. Lemon causes milk solids to coagulate, leaving a sweet, yellow liqueur known as o xixi do menino Jesus, or baby Jesus pee. Blitz some candy canes in a food processor, mix with vodka, and voilà: A sweet, minty-fresh liqueur that's great on its own or in hot cocoa. Seasonal flavors of nuts, spices and dried fruit make this DIY liqueur the quintessential taste of the holidays. Captain Morgan's got nothing on the homemade stuff. Just combine rum and warming spices, and enjoy a festive tipple. Dark, rich and spicy, this allspice liqueur is a common ingredient in tiki cocktails, but can be enjoyed as a digestif, too. Enjoy the occasional snifter of Kahlua or Tia Maria? You can make it at home for a fraction the cost. Homemade Creme de Menthe: Nostalgia overload, but even better than the original memory. An easy, quick gift. 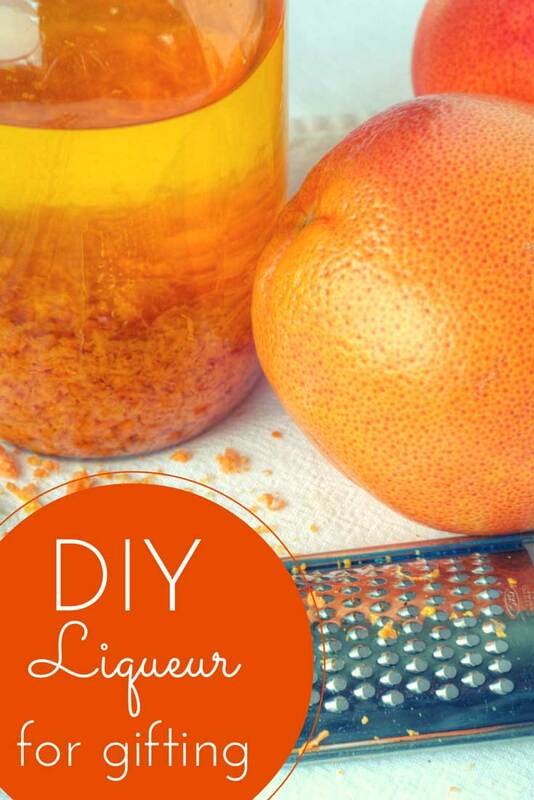 Liqueurs can take days or even months to make, but a simple tea liqueur can be done in just a few hours. Try it with chai, genmai cha, Earl Grey, jasmine green or whatever tea is to your taste. Or if amaretto is more your thing, try this. Raw almonds, vanilla bean, booze and a little sugar... it is everything you think it should be and more. So simple, yet so amazing. Chestnut brandy is a fantastic present to give someone during these chilly months. You can get away with using a cheaper brandy here so don't start reaching for that special bottle of Armagnac. The process of making this pumpkin liqueur takes a bit of time, but don't all things that are worth it take a bit of time? The reason why this recipe takes a bit of time to make is because you're making the actual base of the liqueur – condensed milk.